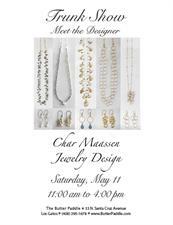 Meet jewelry designer, Char Maassen, at The Butter Paddle Trunk Show, May 11th from 11:00 AM-4:00 PM. 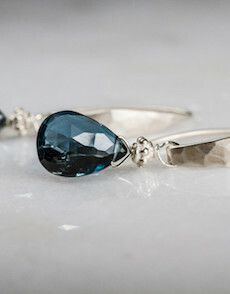 Char?s jewelry design is inspired by her years working in architecture and design. 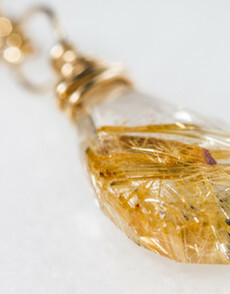 She is drawn to the colors and materials found in nature. 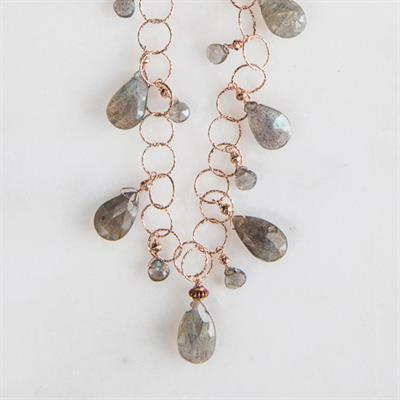 Her pieces are all hand-crafted and her gemstones are all personally selected in order to ensure the best quality and effect. 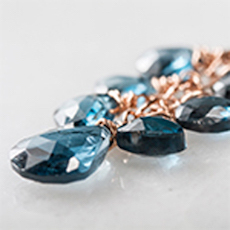 Char works primarily with semi-precious gems and a variety of metals such as fine silver, sterling silver, gold, vermeil and copper. 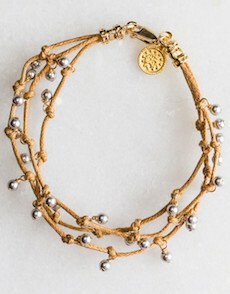 Her collections include necklaces, bracelets, and earrings. 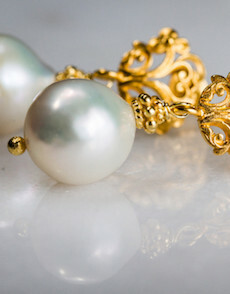 Many of the necklaces are designed to be worn alone or grouped together, enabling one to create their own unique look and to build onto their own collection over time. 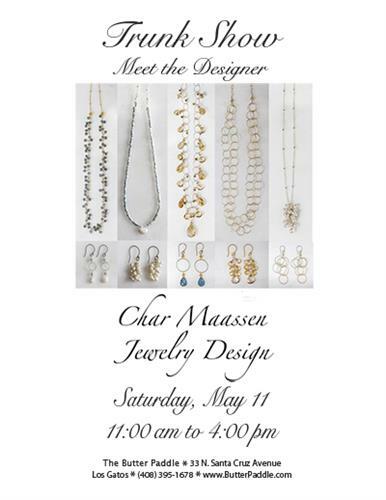 Char Maassen jewelry makes the perfect gift for Mother's Day, Graduation, Birthday or any special occasion. 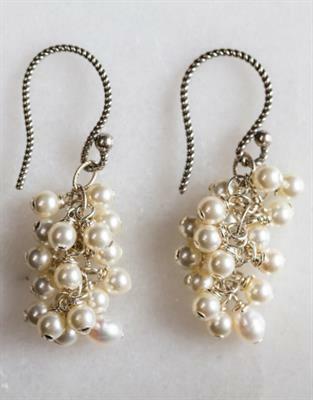 Don't miss this opportunity to meet Char at The Butter Paddle and see her exquisite creations.